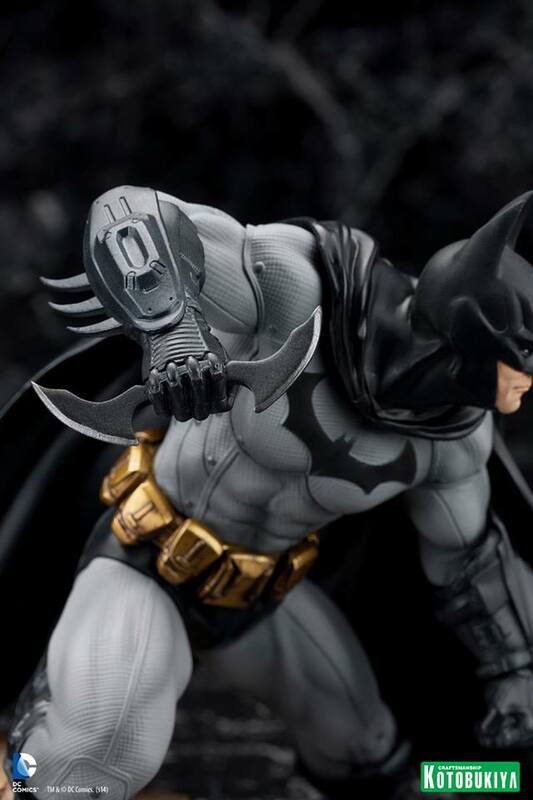 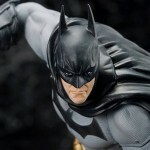 Kotobukiya has released the first gallery of their upcoming Batman: Arkham City – Batman ARTFX+ Statue. 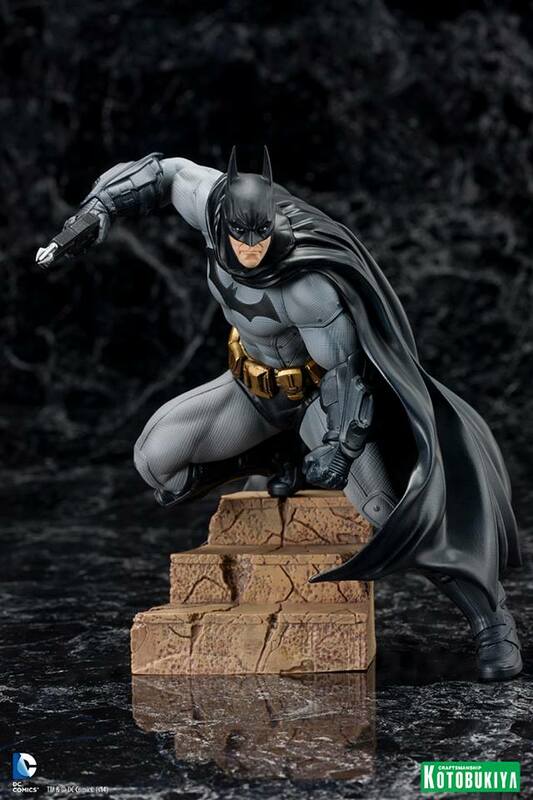 The 1/10 scale statue portrays Batman as seen in the second installment in the acclaimed Arkham video game series. 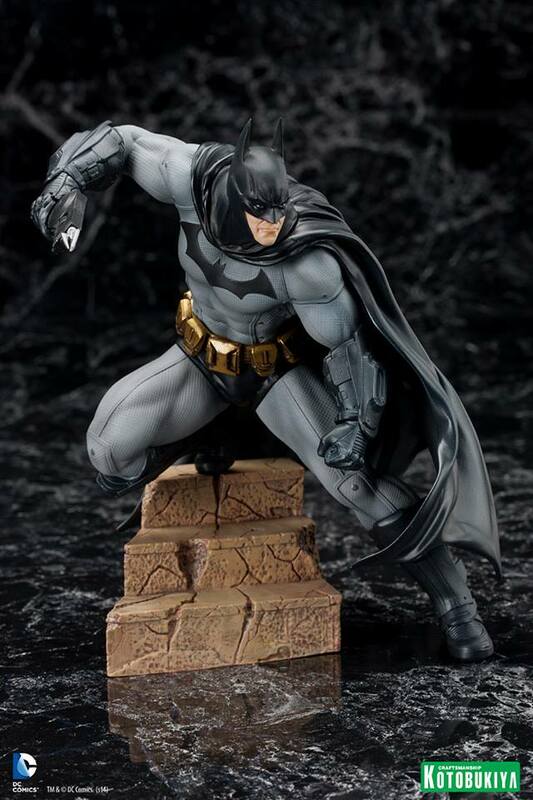 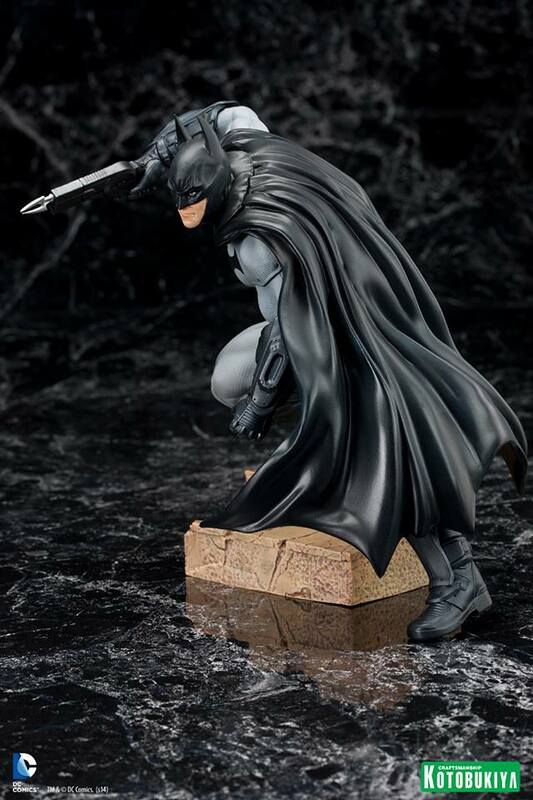 The statue features a swappable right hand to show him holding either a Batarang or a grapnel gun. 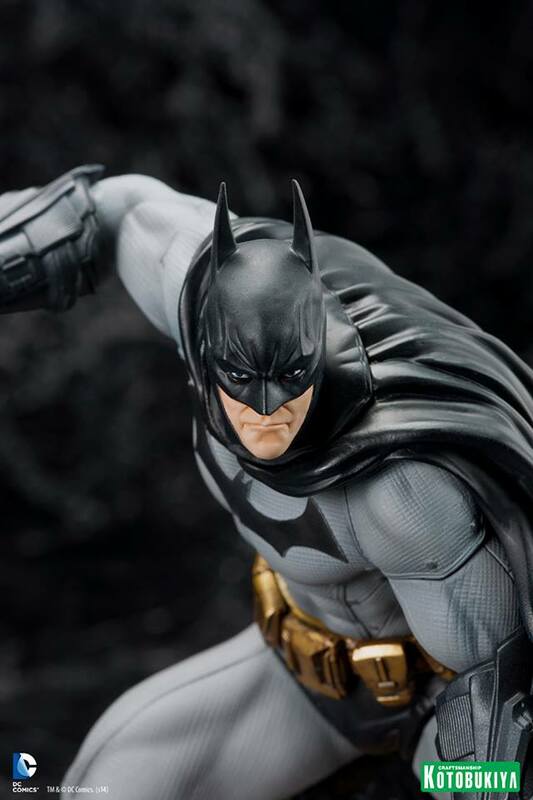 No word on release date at this time. 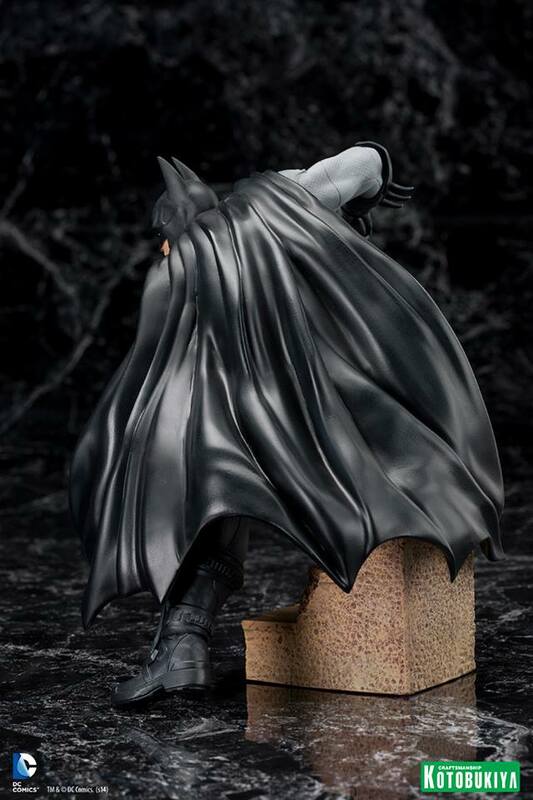 It's from Arkham City. The gauntlet design is the one from City.